Losing a large amount of weight (100 pounds or more) as a result of weight loss surgery or through diet and exercise is a major accomplishment that will enhance your health, your outlook on life, and your appearance. Many people who have achieved great weight loss can be left with large amounts of heavy, loose folds of skin around the abdomen, arms, thighs, breasts, buttocks and face. Skin can sag and lose elasticity as a result of being stretched for a long period of time. After significant weight loss, the skin often fails to shrink back to its former size and shape. Excess skin can make getting dressed a chore, limit mobility, and cause hygiene and medical problems. Chronic skin-on-skin contact can result in rashes and other sores that can lead to infection. In addition, excess skin can be a cosmetic issue. People who have lost a large amount of weight often want their bodies to reflect the new, more positive image they have of themselves. Many times, the only way to remove excess skin left after extensive weight loss is through body-contouring plastic surgery. Is body-contouring surgery right for me? Weight trend: For optimal results, body contouring should not be done for approximately two years following the start of any massive weight loss program. This time allows the skin to shrink as much as possible and your nutrition to be stabilized. 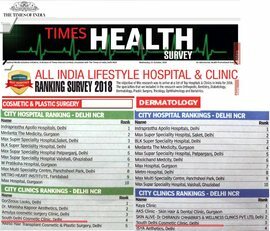 People in poor health or having medical disease like diabetes or hypertension are not good candidates for body-contouring Cosmetic procedures in Delhi. You must be on a healthy diet? Problems such as protein and iron deficiencies can interfere with healing after Cosmetic Surgery in Delhi. Smoking slows down the healing process and increases the risk during and after surgery. You must quit smoking 6 weeks prior to surgery. You must be psychologically prepared for Contouring procedures? you must have realistic expectations with the procedure. Body contouring Cosmetic Surgery in Delhi will lead to marked improvements in your shape, but it is impossible to restore the skin or body to what it would have been without the weight gain. Even after body-contouring surgery, skin continues to sag over time as part of the normal aging process. Most body-contouring Cosmetic Procedures in Delhi involve making an incision in the least obvious part of the area to be trimmed, removing excess skin, and suturing the area with fine stitches to minimize scarring. With these types of procedures, scarring is unavoidable. Liposuction in South Delhi Cosmetic Clinic, may be used in conjunction with some procedures. 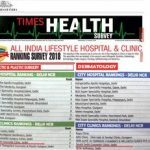 Because of the significant amount of skin to be removed during contouring surgery, there are greater associated risks than with standard Cosmetic Surgery in Delhi. Collection of blood in leg veins. These are the areas of the body most often treated through body contouring after great weight loss. Your Cosmetic Surgeon in Delhi, will work with you to identify areas that are the most problematic or bothersome to you. Tummy tuck also known as abdominoplasty involves removing excess skin and tightening of the underlying abdominal muscles. A body lift, or belt lipectomy, is a Cosmetic procedure in South Delhi Cosmetic Clinic to remove skin and lift the thighs and buttocks. This is usually performed as a continuation of an abdominal procedure. A medial thigh lift, designed to remove excess skin from the upper leg, involves an incision along the inner thigh starting at the groin and extending as far as the knee. A combination of surgeries may be done at the same time, as long as safety can be maintained. An “upper body lift” may include a combination of surgeries to the arms, back, and breasts/chest. A “lower body lift” may include combination surgeries to the hips, thighs, abdomen, and buttocks. All these surgeries are performed in the hospital under general anesthesia. It requires hospitalization for 3-5 days. During this period you are medication to control pain and discomfort. You may have certain degree of soreness, swelling and bruising for two to three weeks after surgery is normal. Most people can return to work after two to four weeks. During this recovery period, you are advised to follow doctor’s advice and visit office regularly to monitor your progress. 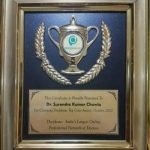 For more information, please visit South Delhi Cosmetic Clinic to consult with our best Cosmetic Surgeon in Delh- Dr. S.K. 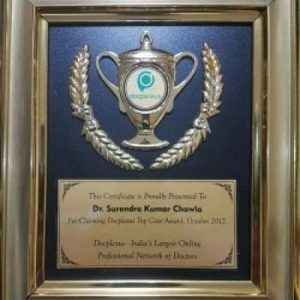 Chawla, he is an experienced Cosmetic Surgeon in Delhi and will be delighted to discuss your goals. For Cost effective Weight loss cosmetic surgery at affordable Cosmetic Surgery prices in Delhi Contact us on 8860906117.